Amazon is offering the Siri-compatible iHome iSP8 Wi-FI SmartPlug for just $45, a 10 percent discount and the lowest we’ve ever seen. 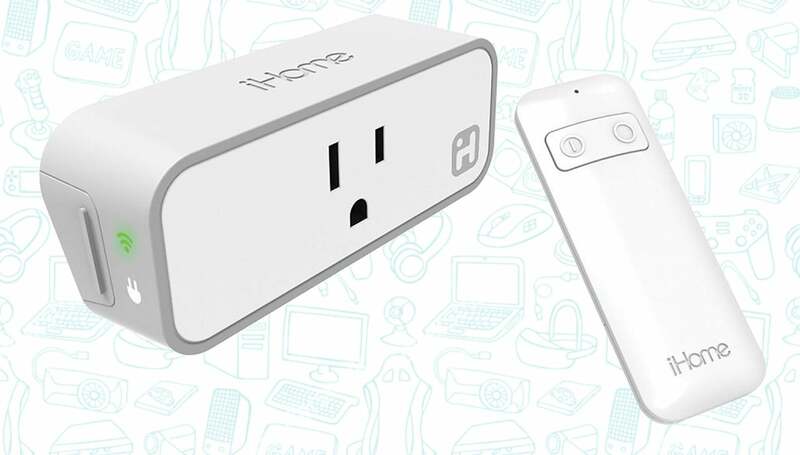 The iHome WiFi Smart Plug lets you control any connected device from home or remotely. You can turn on or off virtually any appliance all with just your voice thanks to Siri and Alexa voice integration. There’s also support for Smarthings, Nest, and Wink. It also comes with a separate remote in case you want to turn your appliances on or off manually. Plus it supports appliances up to 1800W, which means most everyday appliances should work with it. There aren’t too many plugs that support Apple’s HomeKit at the moment, so if you’ve been looking for one, this is one of the better options out there.